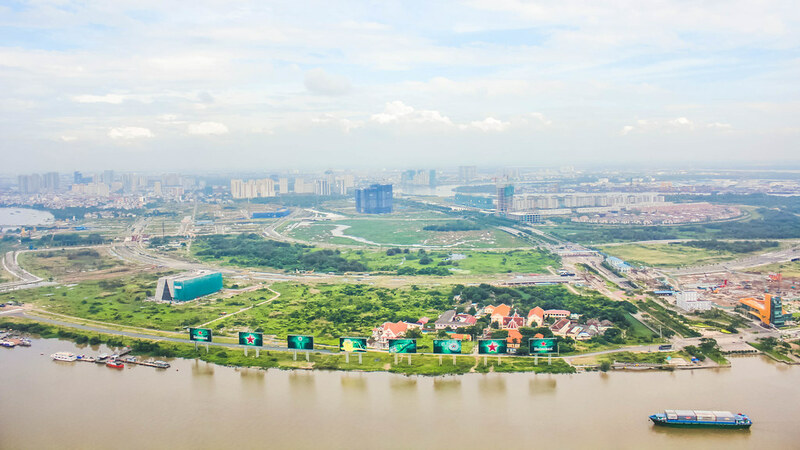 24 Hours in Ho Chi Minh City – How to Spend a Weekend in Saigon? 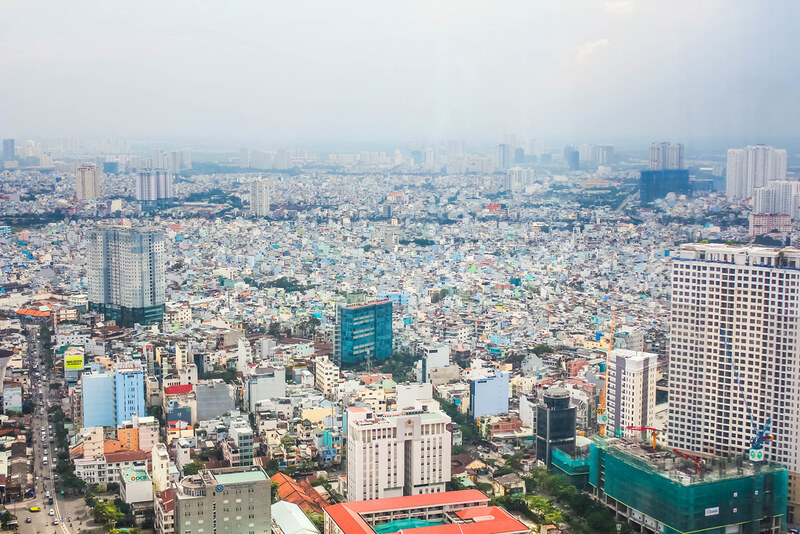 Ho Chi Minh City is a popular tourist destination in Vietnam due to its interesting culture, classic Parisian architecture, modern skyscrapers and ancient temples and pagodas. 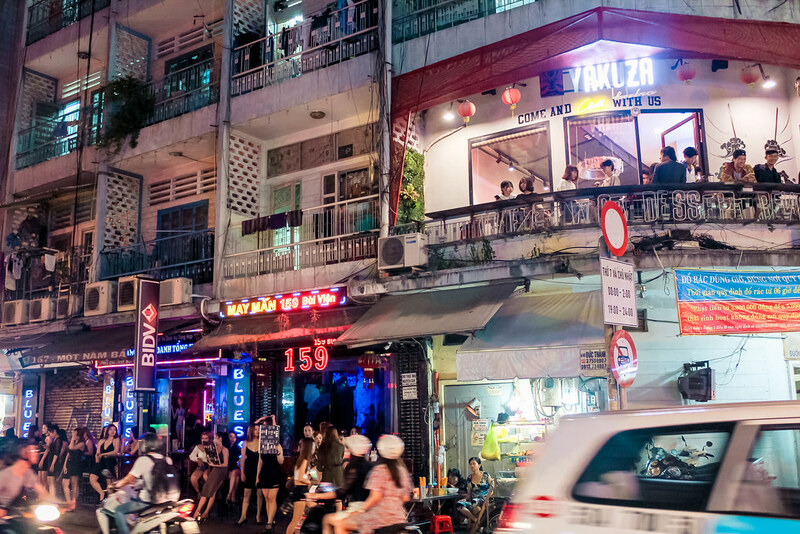 The city is also filled with delicious street food, fancy restaurants that offer a combination of French, Chinese and local Vietnamese cuisine, and rooftop bars that overlook Saigon. My friend and I arrived in the city at 8am and packed our first day in Vietnam with many activities. 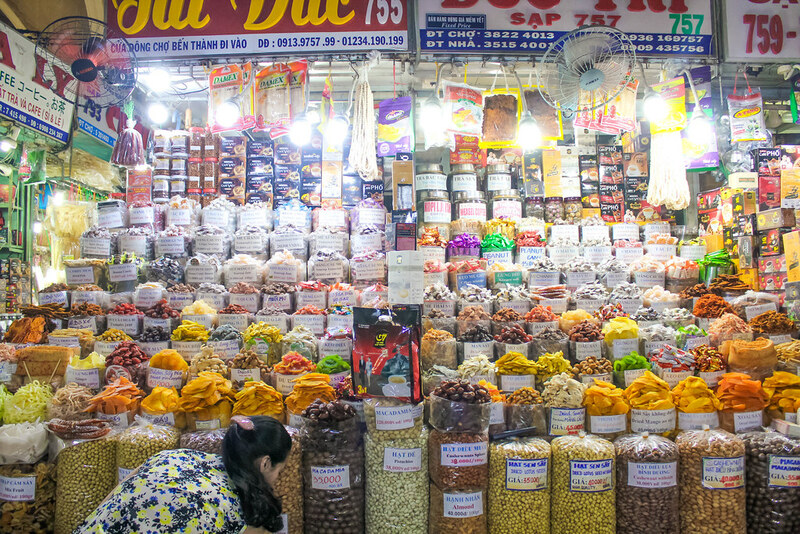 These are what you can do if you only have one day in Ho Chi Minh City. After checking into our airbnb apartment, we had breakfast at the Ben Thanh Market and shopped around. 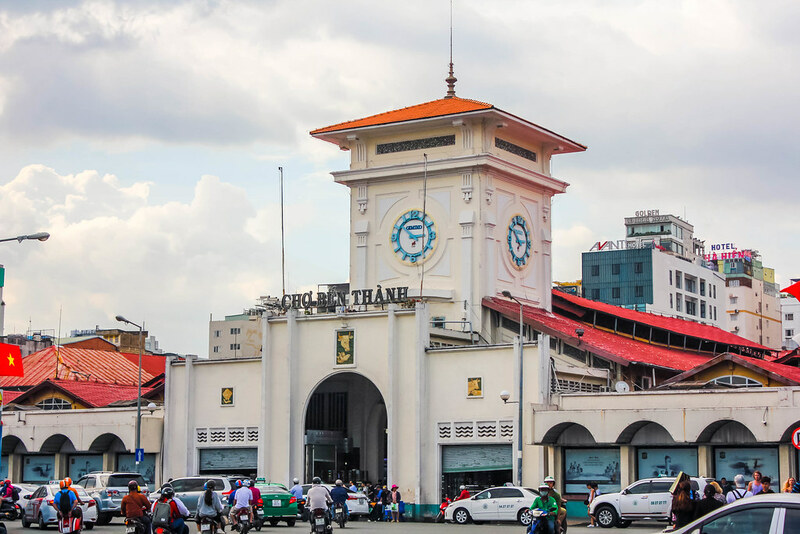 This market is a great place to buy local handicrafts, Vietnamese art and other souvenirs. However, due to its massive compound, we found it difficult to navigate around at times. The market can get quite hot in the afternoon so it’s best to avoid the heat and visit in the morning. We decided to do a city tour on foot and headed to the Saigon Notre Dame Cathedral. Built in the late 1880s by French colonists, this cathedral is one of the few remaining strongholds of Catholicism in the largely Buddhist Vietnam. 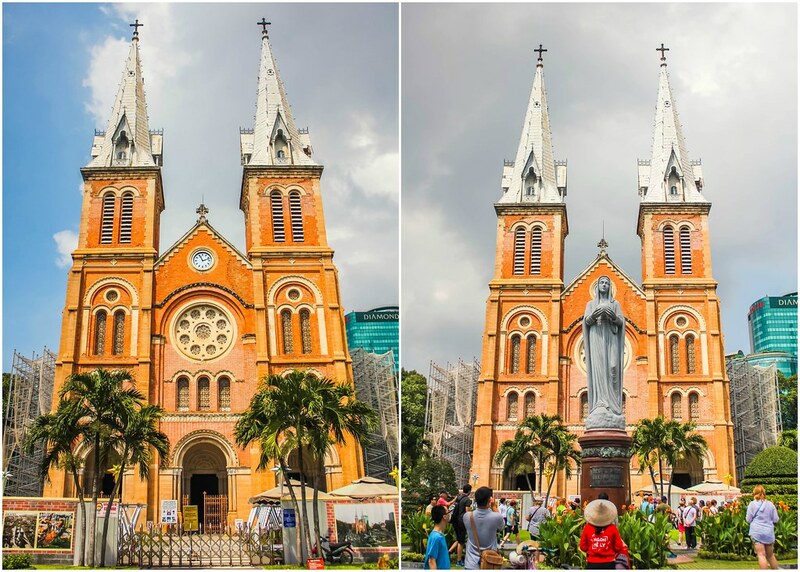 Measuring almost 60 metres in height, the cathedral’s distinctive neo-Romanesque features include the all-red brick façade, stained glass windows, two bell towers containing six bronze bells that still ring to this day, and a peaceful garden setting in the middle of downtown Ho Chi Minh City. 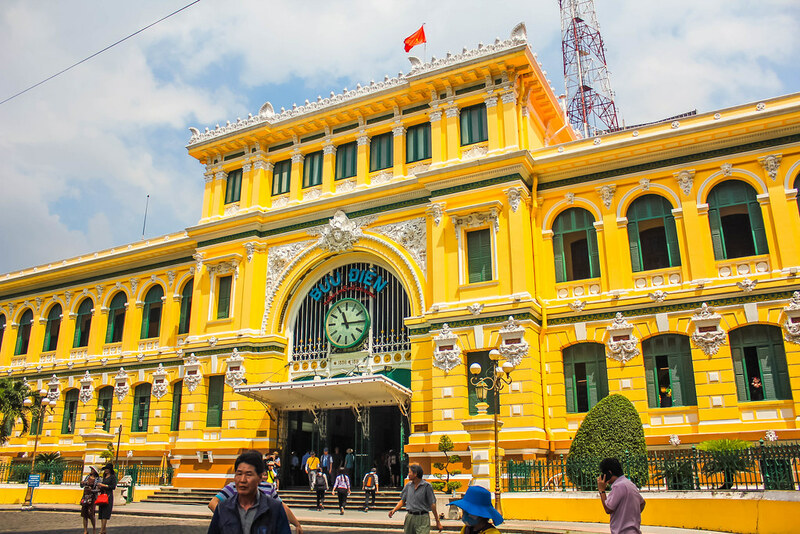 Located just beside the cathedral, the Saigon Central Post Office was designed by Alfred Foulhoux and features arched windows and wooden shutters, just as it would have in its heyday in the late 19th century. 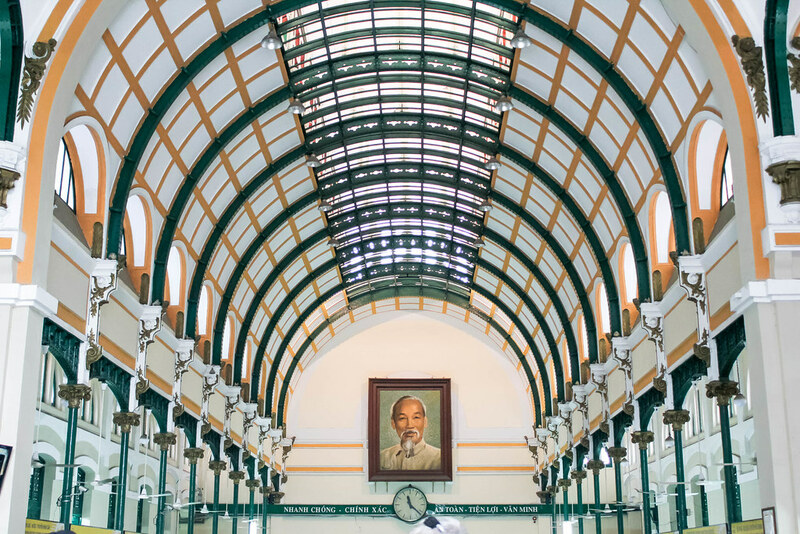 I haven’t come across any other post office in Southeast Asia that looks as grand as the one in Ho Chi Minh City. It’s definitely worth a visit. The other attraction you should check out is the Saigon Opera House. 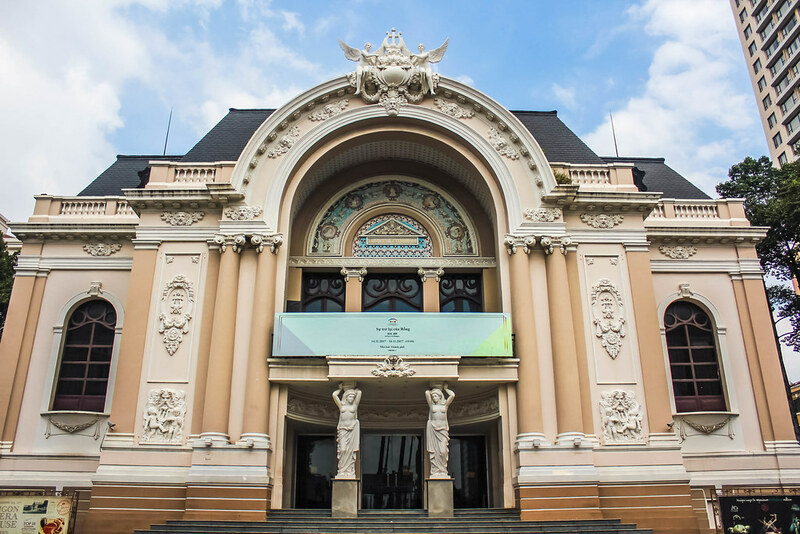 The restored three-storey 800-seat opera house was built in 1897 and is used for staging not only opera but also a wide range of performing arts including ballet, musical, concerts, Vietnamese traditional dance and plays. 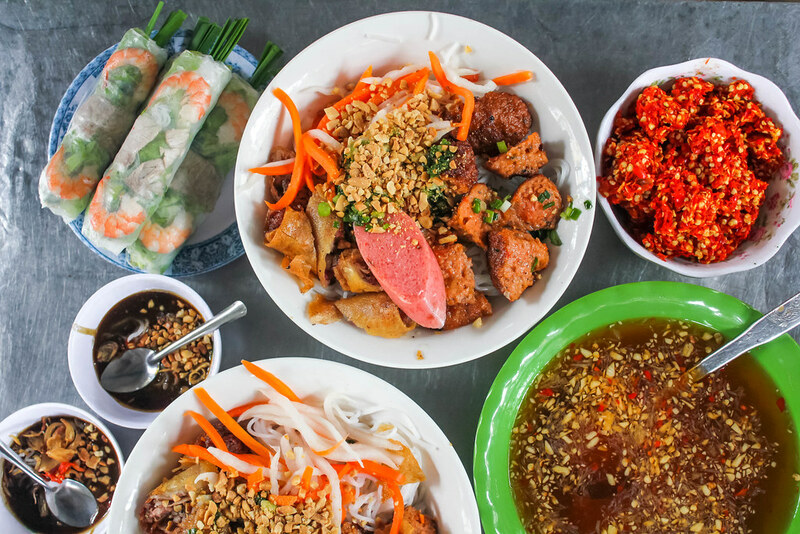 You cannot miss out on The Lunch Lady when you visit Ho Chi Minh City. It is one of the most famous street food stalls in the city. The Lunch Lady specializes in serving noodles but here’s the fascinating part – you will not know what you’re getting. She rotates her menu and serves a different Vietnamese noodle dish per day. There are other street vendors beside The Lunch Lady and they will automatically serve their Vietnamese dish to you but you can politely refuse. Although we did not know the name of the dish we ate, we enjoyed it so much. The Café Apartment is a building with a history of housing government and military personnel from US advisors in the 1950s and 1960s to naval officers in the post-war period after reunification in 1975. Today, the 9-storey apartment block is full of character, housing independent cafes, fashion boutiques and co-working spaces. It’s nice to have a cup of coffee while relaxing at the balcony and watching the crazy traffic situation at the nearby roundabout. 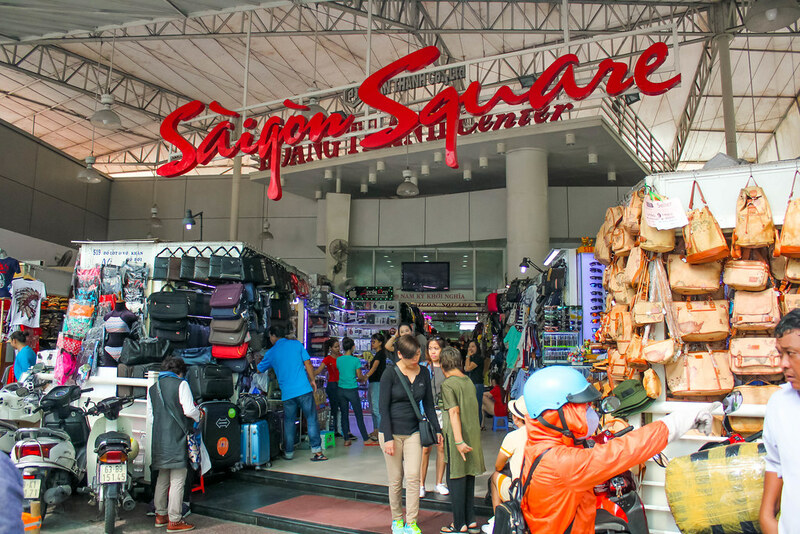 After your coffee break, head to the nearby Saigon Square One for some shopping. Located within the Bitexco Financial Tower, the Saigon Skydeck on the 49th floor offers stunning 3600-degree views of the city and its surroundings. You can experience the thrill of an elevator ride at 7 metres per second as the high speed elevator whisks you up to the skydeck. 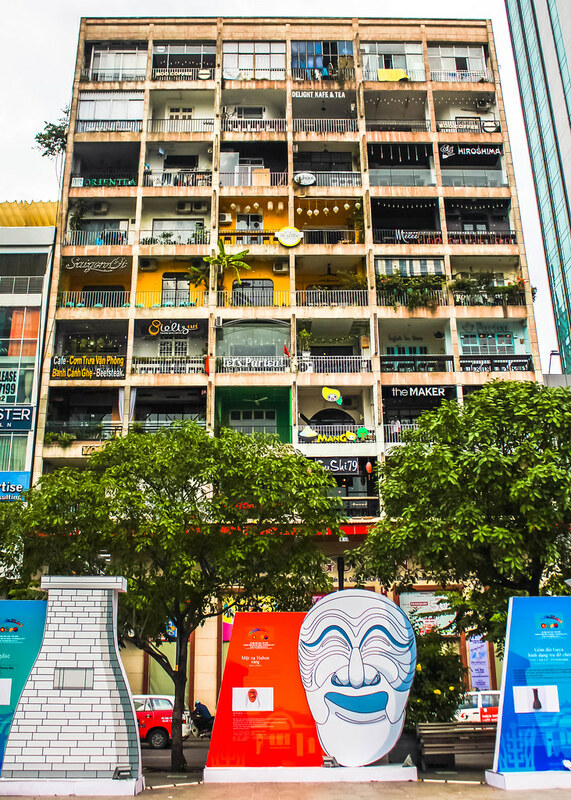 Besides taking photos of the cityscape, you will also be able to learn about Saigon’s history. We were fortunate to have gone up early and stayed long enough to catch the beautiful sunset. 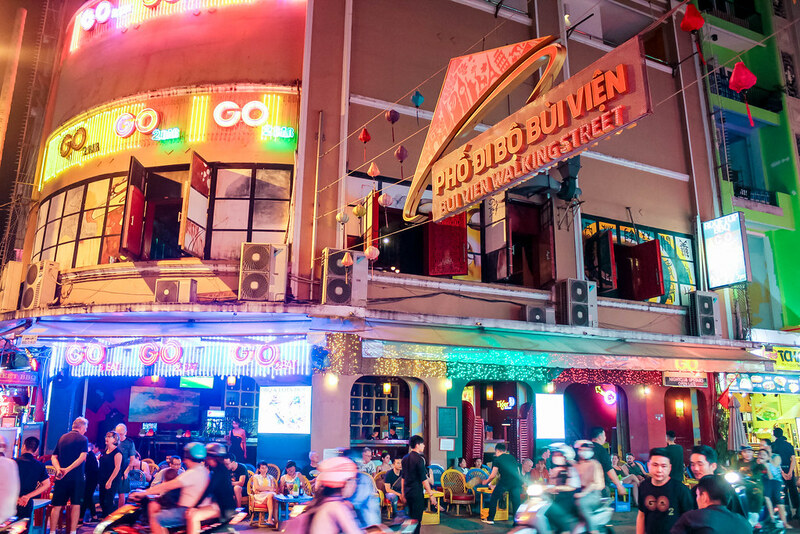 End your day at Pham Ngu Lao Street, the equivalent of Bangkok’s Khao San Road. 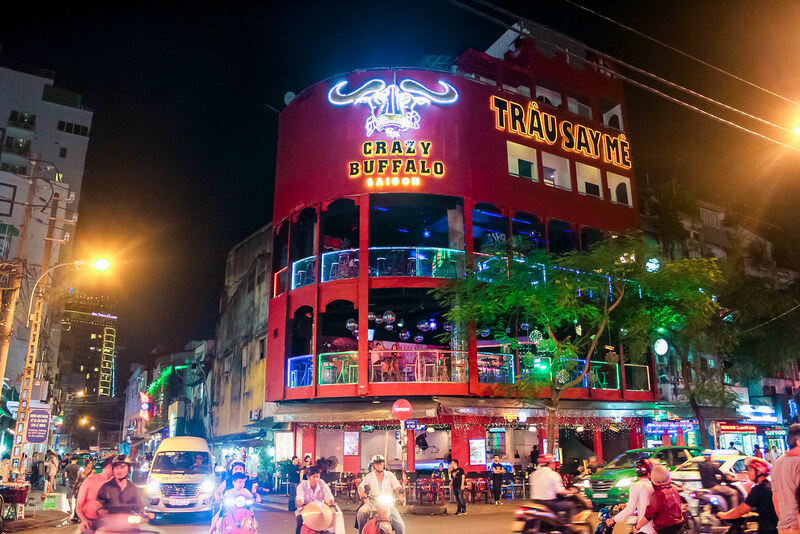 It comprises numerous lanes and back alleys lined with western-style restaurants, coffee shops, bars, countless tour companies and kiosks, affordable accommodation, internet cafes, pharmacies and souvenir-and-craft shops. The lively atmosphere in the evening draws a large crowd to the area, so extra care of your valuables and belongings. If you’re spending more time in Ho Chi Minh City, you should join a Mekong Delta tour. Hope you’ll enjoy this city as much as I did.